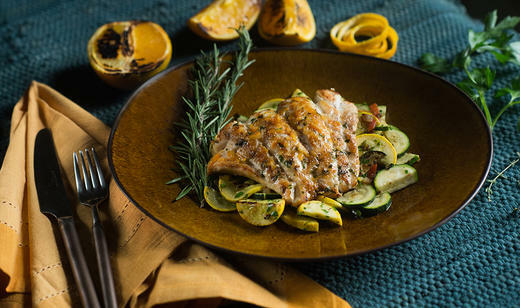 You can’t get more “Florida” with your cuisine than honey orange glazed grouper. Give this recipe a spin with any of our unique, 100% natural raw honey varieties and let us know how it turned out. You can't get more "Florida" with your cuisine than honey orange glazed grouper. Give this recipe a spin with any of our unique, 100% natural raw honey varieties and let us know how it turned out. Combine all ingredients except grouper, mixing well. Place fillets on an oiled broiler pan and brush fillets with honey glaze to cover. Broil 5 to 6 inches from heat for 4 to 5 minutes until browned. Turn fillets, brush with honey glaze and broil additional 5 minutes or until fish flakes easily. This glaze is also great on chicken and pork chops. Add salt for more flavor and use 1/8 cup corn starch to thicken the sauce.